Here I am sharing some of the Tomo-ryu (戸猛流 / 伴流) Scrolls with my students at the 2016 Tomo-ryu Shinobi Keiko. Here, I am teaching various methods & applications of hashiri-ashi. 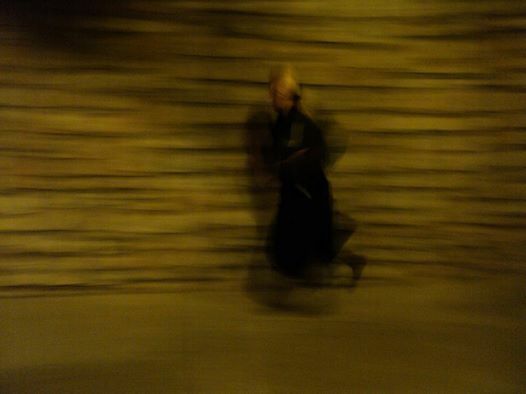 This is more than just free running; it’s running without making a sound or leaving a trace. 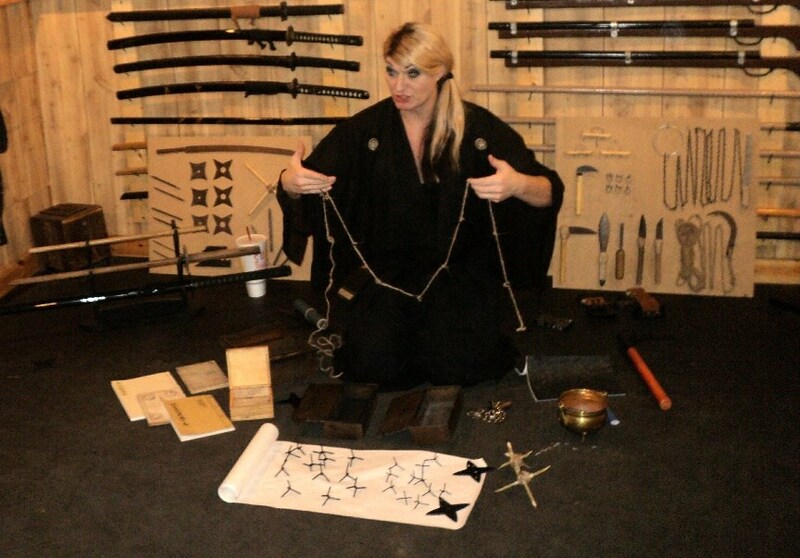 Here, I am displaying many different variations of makibishi, as well as teaching from various historical densho & makimono, the ninja use of makibishi. 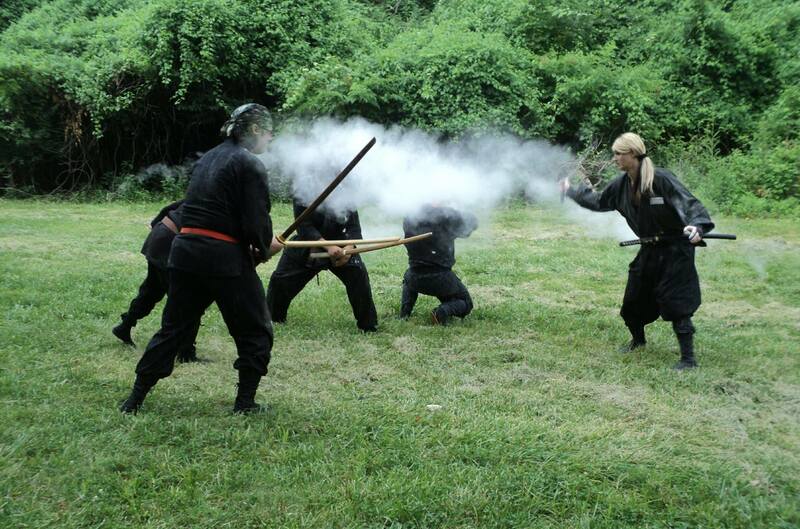 Here I am teaching various blade fighting tactics, using a short sword (kodachi; 小太刀) to fight against the katana (刀). Here I am demonstrating metsubushi (eye blinders) that was utilized by the ninja and later adopted by the Edo period samurai police. 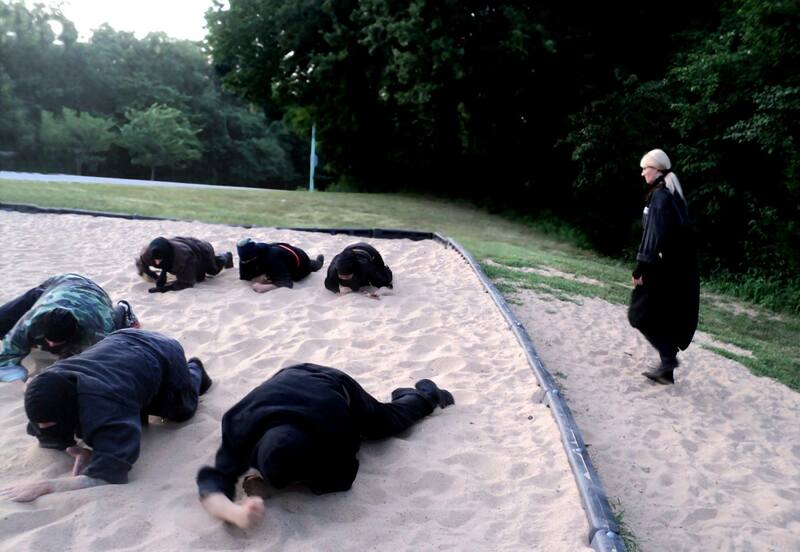 Here I am taking a group through some shinobi-sabaki (ninja movement) drills. In this exercise we are working on keeping a low profile, under “line of sight”, as we move in various directions. You need a strong body to be good at this type of military movement. 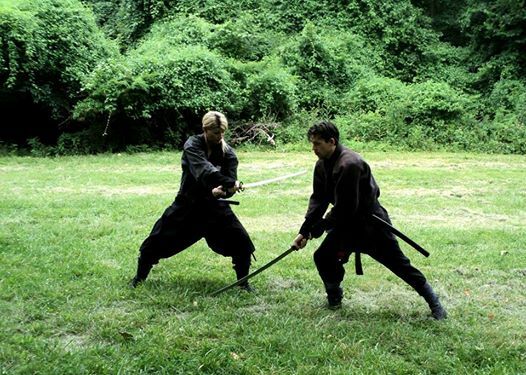 Here my assistant (Mr. Chafin) and I are teaching traditional methods of elemental training that is said to be practiced by the ninja. Mokuton-no-jutsu translates out as “wood evasion art” and is the use of trees, brush and foliage as a means of infiltration, evasion, concealment, as well as other means of warfare. Here I am teaching how to use this principal to your advantage even when locked in battle. The “moku” can be used as a shield for camouflage, but also as a shield from the enemy’s offensive advance. Here my assistant (Mr. Chafin) and I are teaching traditional methods of flexibility that is said to be practiced by the ninja. 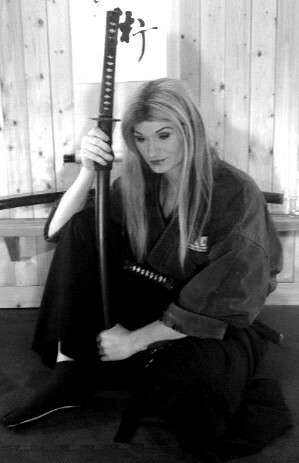 Shinobi Undo is essential to perform stealth, espionage, night raids, crawling in tight places, as well as many other warrior skills.